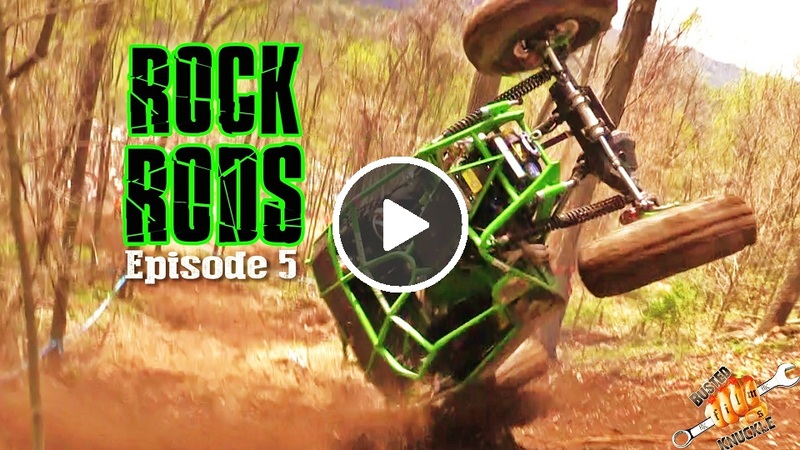 Check out our all new series we are calling ROCK ROD GARAGE where we take you inside the shops of the biggest name drivers in the sport of Rock Bouncing. Four our first episode we made the three hour trip to Keith Farms in Columbia, Tennessee to sit down and have a chat with out first victim Richie Keith the Driver of Plowboy, Plowboy 2, and Plowboy Mud. Richie Keith has quickly become one of the most well known drivers in the rock bouncing. He has done so with his wild driving style and showing up where rock bouncers don’t belong. He was the first Rock Bouncer ever to do a successful backflip on purpose. Richie also rebuilt his original plowboy rock bouncer to compete in the 2014 King of the Hammers Race in California. He even has a Mega Mud Truck called Plowboy Mud. Get an inside look of his garage and learn more about one of the most entertaining drivers in Rock Bouncing. Watch this Episode and More on the Busted Knuckle Youtube Channel. Also Check our Rock Rods Series where we take you to the Races and on Trail Rides.